Image: The Alexis, El Fenn, Berkeley City Club. Design: Ashley Britton/SheKnows. 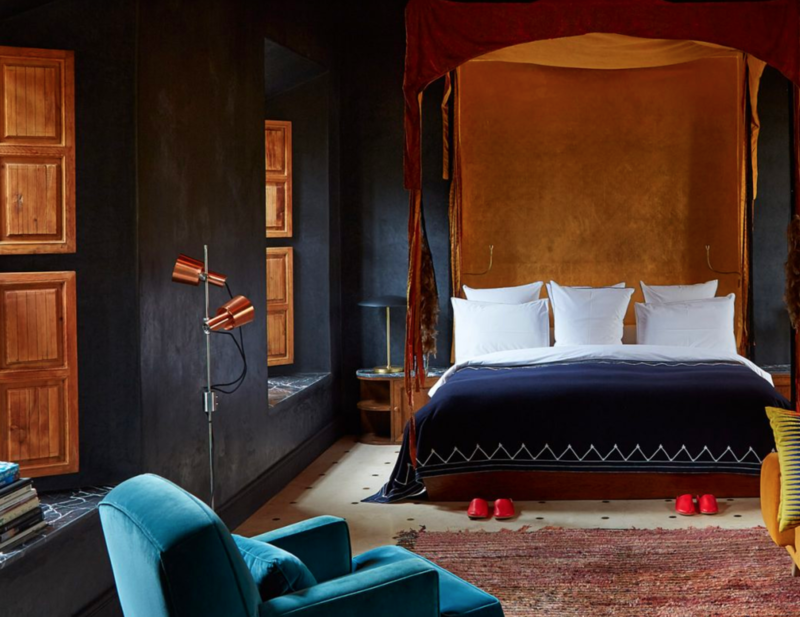 If you’re a design sponge and a fan of the, um, non-resort side of travel (although, hey, cool resorts do exist), chances are you’ve found yourself staying in a truly unique boutique hotel — or 10 — over the years. Maybe you seek them out in particular for their indie vibes, smallish size and one-of-a-kind aesthetic. For us, finding a quirky hotel we haven’t heard of yet can be half the fun of planning a trip; plus, where you end up spending all your sleeping hours and many of your waking ones can absolutely make or break your experience in a new city or country. 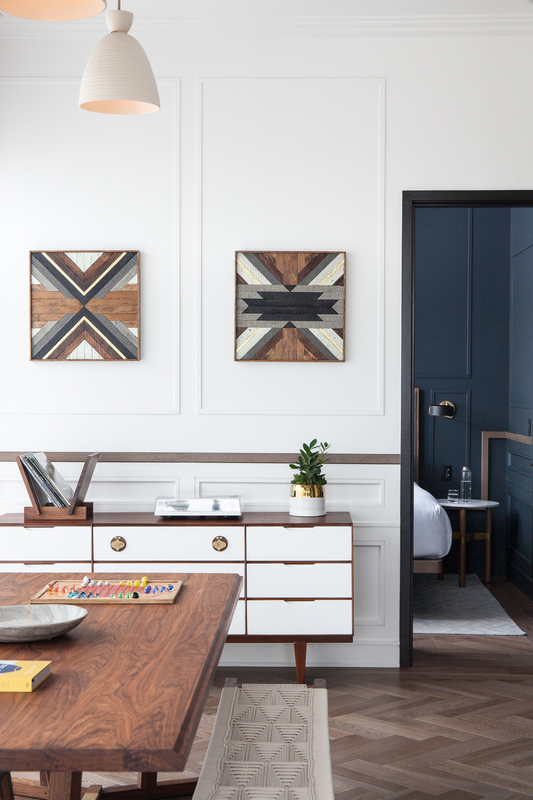 And we know we’re not the only ones guilty of stealing hotel room decor hacks — plus fancy tiny hotel soaps, shhh — to integrate into our own digs once we return home. The hotel fun never ends! But we won’t lie; we thought we would be forced to retire our boutique hotel obsessions/expertise forever (or at least for 18 years) once we became moms. But hooray! We were wrong. Despite widespread assumptions, having kids neither signals the death of all fun nor the death of all elegance — especially when it comes to travel. There are plenty of ways to keep up your erstwhile adults-only globe-trotting ways with a tot or two in tow. In fact, we’ve put together curated and surprisingly chic city guides for traveling families around the world who are doing just that. And, no, you don’t have to be relegated to impersonal cookie-cutter hotels, sprawling resorts or (*gulp*) the Disney side of things once you’ve made the decision to bring kids along on your travels. You can have your hotel-design cake and eat it too (and add a very grown-up locally sourced cocktail for good measure) at some of the best boutique hotels around the globe — from California and Florida to Brazil and Morocco — that will welcome your tiny travelers with open arms and maybe even give them cookies. Maybe. Read on for our favorites. Image: Courtesy of Mama Ruisa. 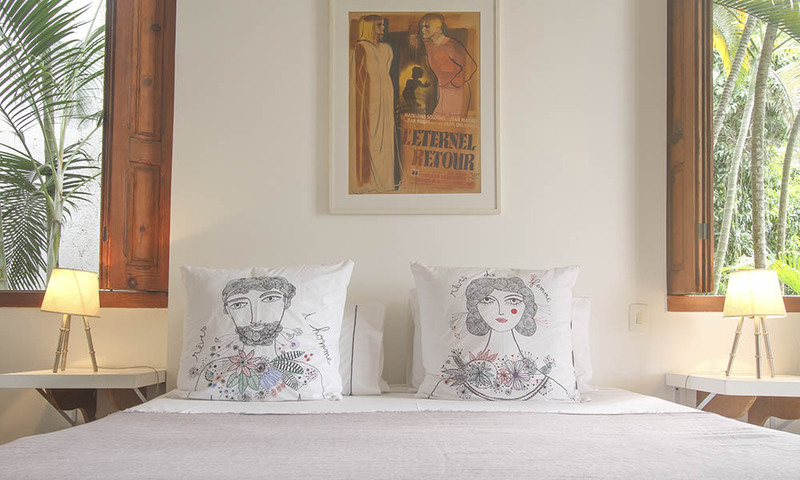 In case you needed yet another reason to visit Rio de Janeiro (you know, other than its beauty, beaches, caipirinhas (Brazil’s national cocktail) and that epic Jesus guy), this romantic but kid-friendly hideaway up the winding streets of Rio’s artsy Santa Teresa neighborhood will lure you back again and again. Mama Ruisa, created by French expats living in Rio, is the epitome of boutique chic and combines a laissez-faire vibe with meticulous design. Plus, free breakfast and a palm-lined pool you’ll never want to leave. Image: Courtesy of Seaside Inn. 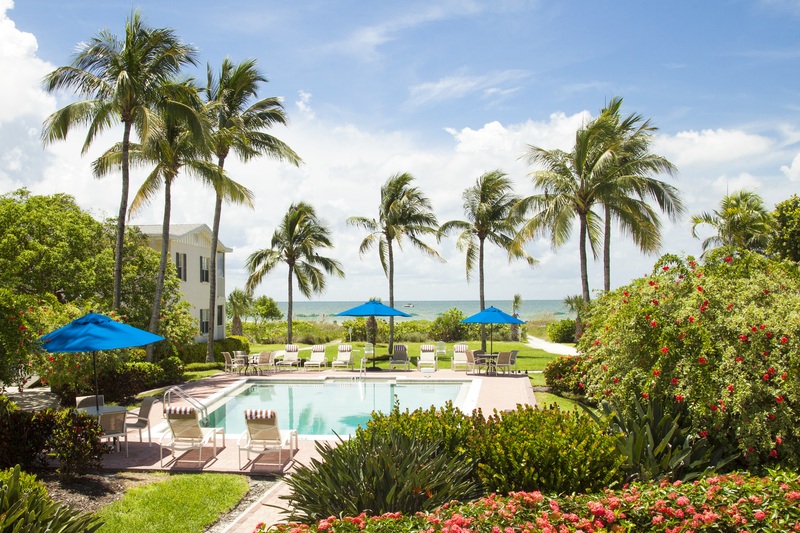 If you want to bridge the gap between boutique and resort, adventure and relaxation, kid-friendly and adult-super-approved, saunter down south to Sanibel’s Seaside Inn. In case you’re in the dark about the marvels that are Sanibel and Captiva Islands, here’s a primer: They’re off the Gulf Coast of Florida, and they’re home to pristine beaches, tons of local lore, great rum, beautiful bike rides and some of the best shelling (yes, it’s a verb meaning “shell-hunting”) in the world. The cozy Seaside Inn has 32 guest rooms and a heated outdoor pool — and on these islands, the beach is never far. Famous writer/aviator/mom extraordinaire Anne Morrow Lindbergh wrote her powerful Gift From the Sea on these islands, so don’t be surprised if you go home with a sunburn and a creative masterpiece after this trip. Image: Courtesy of Hotel Shattuck Plaza. 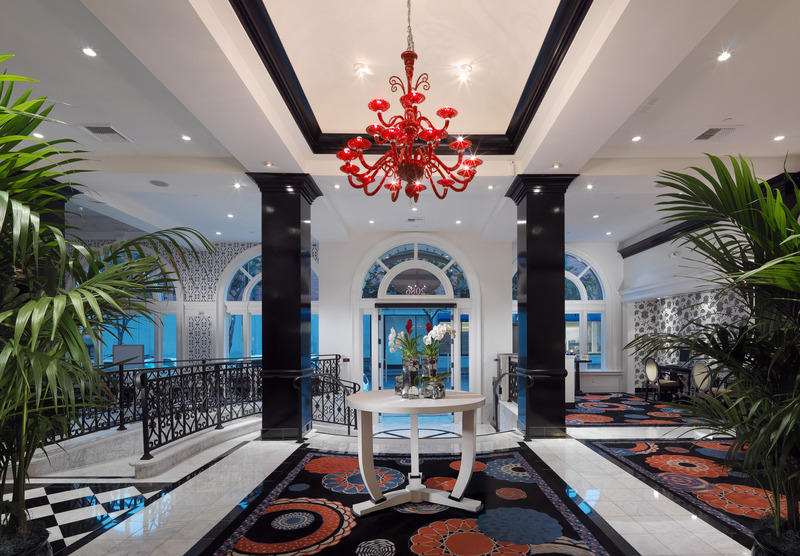 Equal parts modern clean lines and funky pops of color (can you handle that chandelier?) 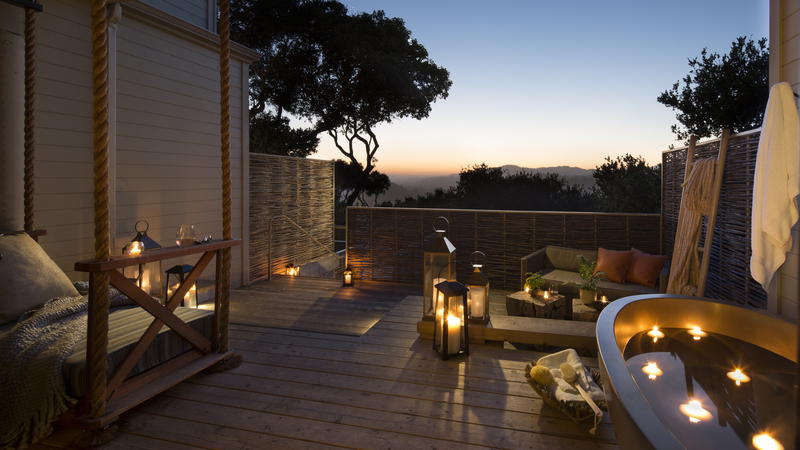 the chic Hotel Shattuck Plaza in Berkeley, California, plops you and the fam right downtown where you want to be. 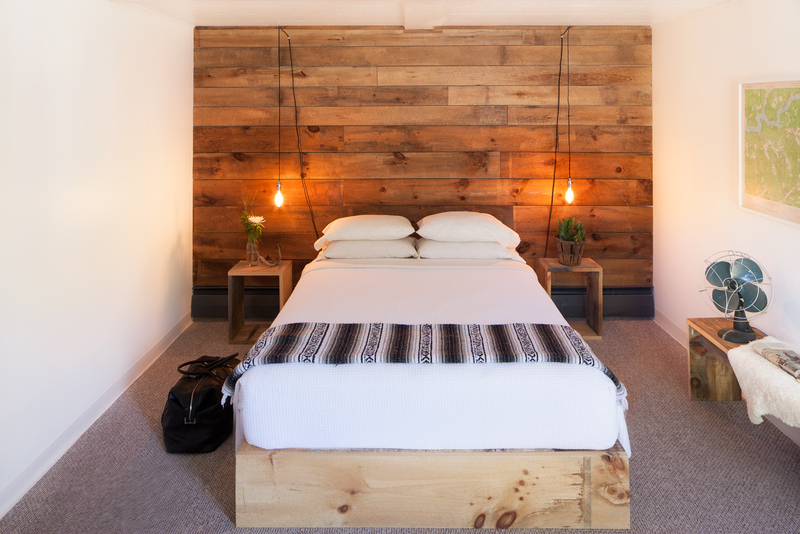 The eco-friendly hotel emphasizes farm-fresh local food and conservation practices, and you couldn’t be closer to stellar shops, restaurants, UC Berkeley, BAMPFA museum and — our personal (and heartily kid-approved) favorite — local indie book shop Pegasus Books. Just make sure to grab a coffee (and chocolate croissant — you know, ahem, “for the kids”) down the street at Western Pacific as fuel for all that art- and book-ogling. You won’t regret it. Image: Courtesy of the Berkeley City Club. Yep, we double-Berkleyed you. Because hey, maybe you’re not into the edgy modern vibe and instead would prefer to say in one of the (official) Historic Hotels of America, which also just so happens to have been an OG women’s center built by badass architect Julia Morgan. 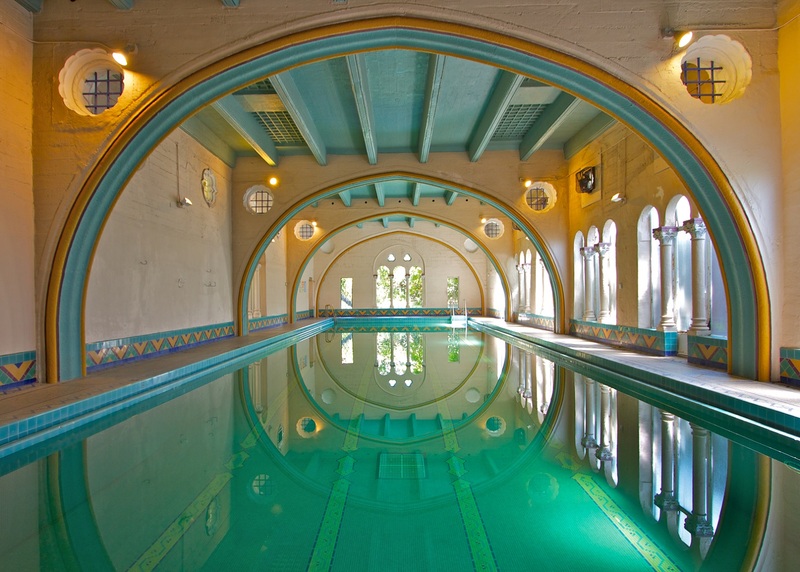 We’re talking about the Berkeley City Club, and if its remarkable history doesn’t lure you in, let’s just talk about that pool, people. 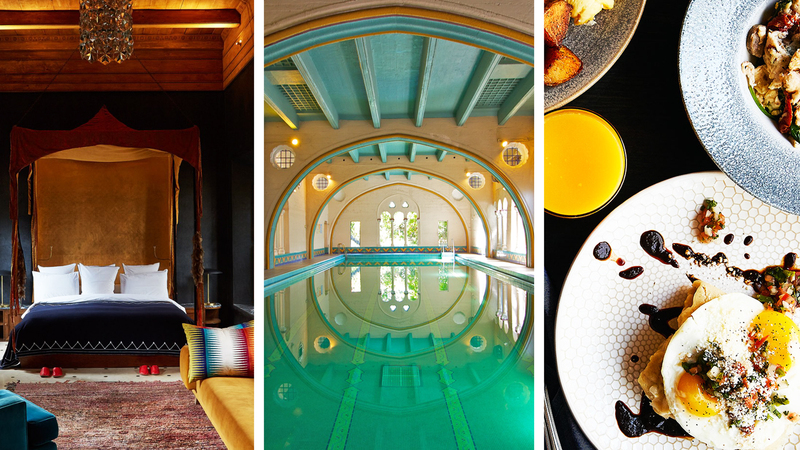 The rooms are simple and beautiful, the hotel food is French, and there are no TVs in the hotel — which, yes, your kids might gripe about to begin with, but we’ve got a hunch you’ll all end up having a better time screen-free (because: that pool). Image: Courtesy of The Alexis. Traveling to Seattle, Washington, with kids? There’s certainly no shortage of things to see and do (plus fish to eat and coffee to drink, obv), and you’ll need a reliable respite from all that city-wandering. Image: Courtesy of Hotel Alma. There’s pretty much only one thing that can lure us to Minnesota in the wintertime, and it’s the prospect of a meal at Restaurant Alma. 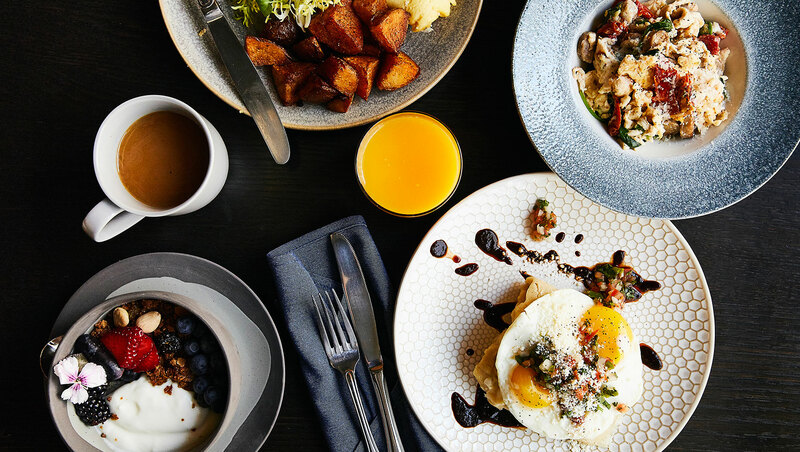 The James Beard Award-winner has been delighting Minneapolitans and travelers alike since 1999, and Alma launched its café-and-hotel offshoots just a couple of years back. 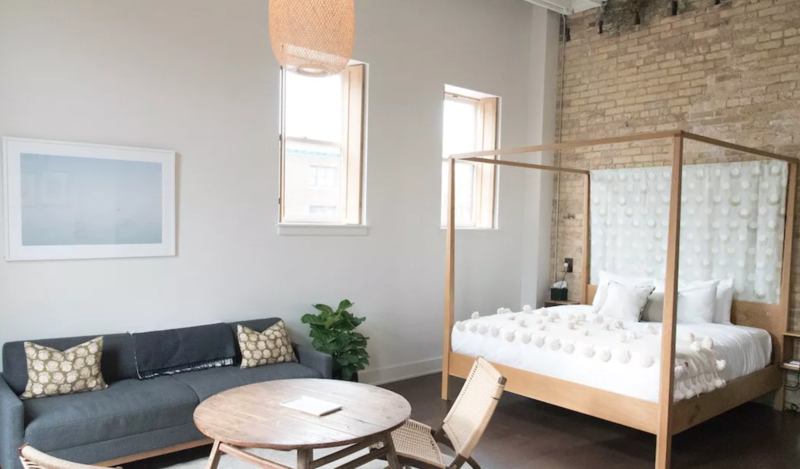 Hotel Alma was designed by Spring Finn & Co., and its cozy, Scandinavian-inspired rooms feature luxe combos of leather, hardwood, brass, grass and textiles (read: light on the breakables, making parental design fiends breathe a sigh of relief) and there’s no better place to burrow up during a Minnesota snowstorm. In-room breakfast from Alma’s bakery is included, plus the café and restaurant are just downstairs — no snowshoeing required. Image: Courtesy of El Fenn. Image: Courtesy of The Graham & Co.
No one does subtly elevated rustic retreat quite like The Graham & Co. in the Catskill Mountains of upstate New York. With spare but polished accommodations, fire pits, a pool (with inner tubes, of course), snazzy matte-black bikes for rent and a radio — but no TV, are you sensing a theme? — in every room, you and the young’uns will be living your best elegant mountain life in no time. Plus, Phoenicia is home to plenty of hikes, a rad diner and some of the best/weirdest antiquing around. Image: Courtesy of Carmel Valley Ranch. And speaking of rustic retreats, if you prefer yours further west (and with a hefty side of wine), you can’t do better than California’s Carmel Valley — and the Carmel Valley Ranch. This place is basically the fanciest summer camp you’ll ever attend (alert: actual arts and crafts may occur), and there are hiking trails aplenty, a four-acre pinot noir vineyard, a spa and a 3-acre organic garden with an apiary that hosts programs for kids. Bee-learning and pinot? Sounds like a place we need to take our kids, stat. Image: Courtesy of Hotel Kim Sing. And if a hotel built in 1930 sounded cool but just not quite wacky enough, what about a hotel that was originally a vaudeville theater built in 1926? 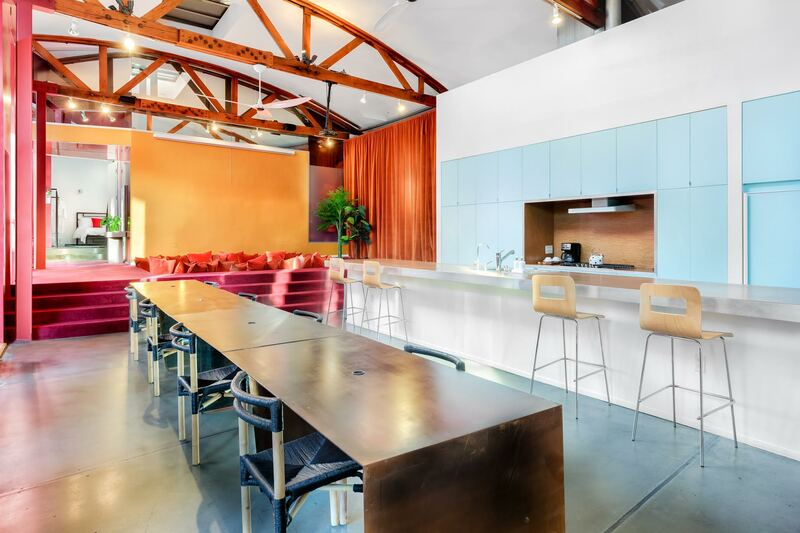 Renovated (and lived in) by Harrison Ford’s son Willard in 2000, Hotel: Kim Sing is an impressive sort of cross between boutique hotel, theater, design showroom and the nicest Airbnb you’ve ever seen. The pocket-size hotel in LA’s Chinatown neighborhood sleeps 11 but has to be rented out as one single unit (from $1,199 per night, beware!). But hey, nothing like zero hotel room neighbors to get annoyed when your kids decide to go sock-skating on the concrete tiles or have a pillow fight in the meditation dome. Image: Courtesy of Gilded Hotel. 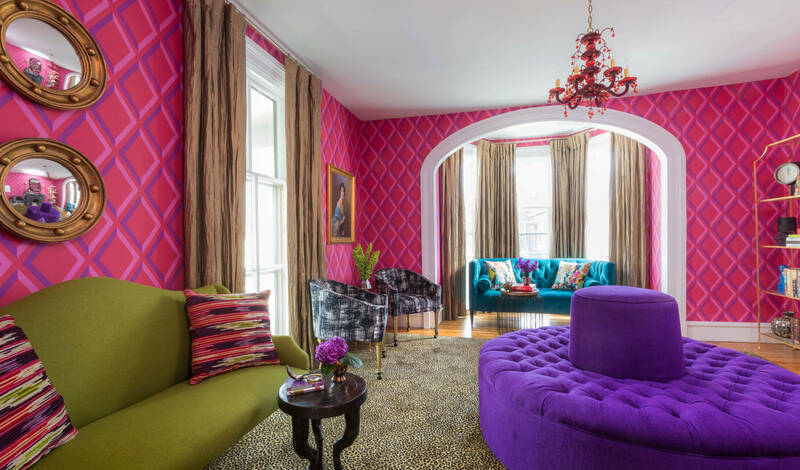 If you find yourself in the beautiful seaside preppyfest that is Newport, Rhode Island — whether for the Newport Folk Festival, the Newport Jazz Festival or just, you know, a super-casual weekend mansion tour — there’s no better cozy spot to post up than this little gem of a hotel. It’s basically an actual gem; can you handle these jewel tones? The Gilded is tucked amid historic homes on a picturesque but unassuming street within walking distance of plenty adorable Newport shops and eateries. A tapas-style breakfast (yes, apparently breakfast tapas are a thing — the Newport marvels truly never cease) is included in your room fee, and, yes, they do indeed give kids cookies. So many wins.